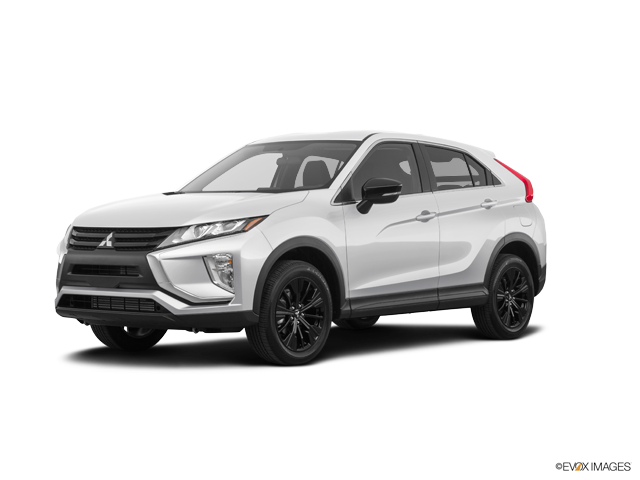 The 2018 Mitsubishi Eclipse Cross is an all-new small crossover that joins the 2018 Mitsubishi Outlander, a three-row crossover, in the Mitsubishi SUV lineup. Both models offer a sporty, family-friendly ride. If you’re wondering which model is right for you, have no fear, because our comparison guide is here. In the all-new 2018 Mitsubishi Outlander, you’ll find a turbocharged 1.5-liter four-cylinder engine. It produces 152 horsepower and 184 pound-feet of torque for a speedy, sporty performance. The engine works in conjunction with a continuously variable automatic transmission to make the most of what you spend at the pump. All but the base ES model come standard with all-wheel drive, so you can boost traction on a slick road. The base ES trim features standard front-wheel drive. Most 2018 Mitsubishi Outlander trims come standard with a 2.4-liter four-cylinder engine. It’s rated for 166 horsepower and 162 pound-feet of torque. It, too, works alongside a continuously variable automatic transmission designed to maximize fuel economy. Although front-wheel drive is standard, you can always opt for a sportier ride with optional all-wheel drive. When you choose the top-trim Outlander GT, you can maximize performance with the 3.0-liter V6 engine. It generates 224 horsepower and 215 pound-feet of torque. It also comes with standard all-wheel drive and a conventional six-speed automatic transmission. The GT also features steering-wheel shift paddles, so you can downshift at will for an extra burst of speed. Both crossovers are known for their sporty good looks. The 2018 Mitsubishi Eclipse Cross is the smaller of the two, making it the better choice for drivers who frequent parallel parking spaces. 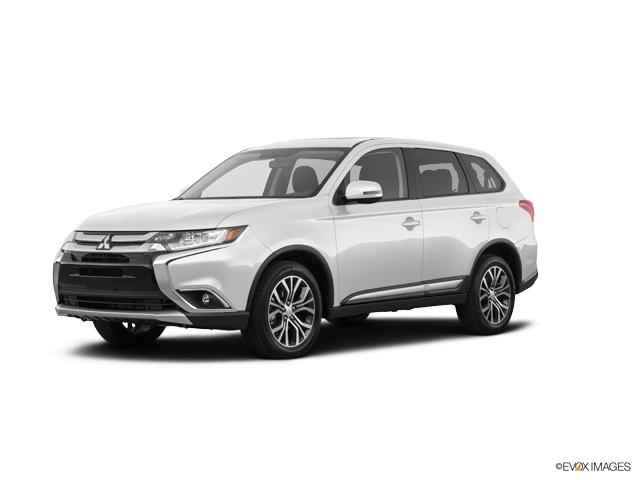 The 2018 Mitsubishi Outlander has a more aggressive stance, thanks in part to its large dimensions. This crossover is the better pick for families who require three rows of passenger space. Both of these sporty crossovers are brimming with modern comfort and convenience features. They feature a standard rearview camera, so you can back out of a tight space with premium visibility. The Eclipse Cross’s rear row and the Outlander’s second-row seats slide and recline for increased legroom on long trips. The Eclipse Cross comes with automatic climate control, and the Outlander gives comfort a boost with dual-zone automatic climate control. The latter takes your comfort a step further by letting driver and front passenger set their own unique temperatures. When you upgrade to higher trim models, you’ll find even greater luxury. The Outlander SE and the Eclipse Cross SE S-AWC and up keep you cozy with heated front seats. The Outlander SE and Eclipse Cross LE S-AWC and up help you stay connected, thanks to Apple CarPlay and Android Auto capabilities. This technology projects smartphone apps onto your central touchscreen, including Messages, Music, and Maps. Now you can use important smartphone apps without having to look at your phone. When you move to the top-trim Eclipse Cross SEL S-AWC or the Outlander GT, you’ll feel like you’ve spent big on a luxury SUV. These models feature leather seating for enhanced on-road comfort. The top-trim Eclipse Cross also includes a panoramic sunroof, expanding your view as you travel the highway. The Outlander GT is also geared toward greater performance, featuring a standard V6 engine and a conventional six-speed automatic transmission that lets you shift gears at will. At Carriage Mitsubishi, we put your satisfaction first. Stop by our friendly dealership to test-drive both the 2018 Mitsubishi Eclipse Cross and the Mitsubishi Outlander. We’ll help you decide which of these sporty crossovers works best for you. We’ll also help you figure out which trim model is the best fit for your budget. Visit us today and you’ll soon be driving home in your brand new Mitsubishi!